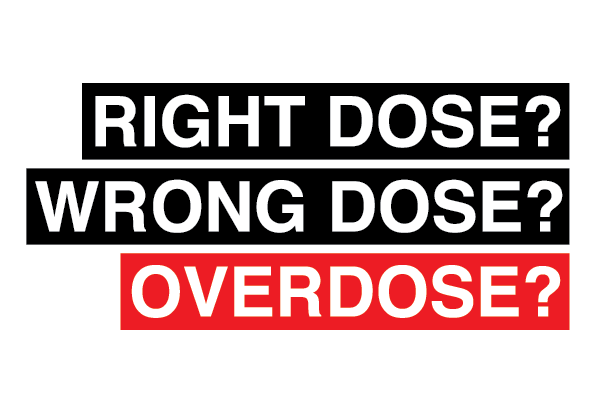 Overdose can be the result of someone deliberately self-harming, seeking to achieve a sense of intoxication or taking prescription or over-the-counter medications in the wrong amount. To highlight the short distance between use and abuse, highlighting the illusion of safety around prescription drugs and over-the-counter drugs driven to an extent by comparison with the widely publicised dangers of illicit drugs. GOOD DOSE? BAD DOSE? OVERDOSE?